The Kingsport Police Department is once again recognizing National Safe Communities America Day and celebrating the esteemed certification held by the City of Kingsport and the surrounding Sullivan County as an Internationally Accredited Safe Community. This year, in recognition of National Safe Communities America Day, the Kingsport Police Department is encouraging all area residents, who have not already done so, to sign up for our area-wide Emergency Alert System. The City of Kingsport utilizes an Emergency Alert System to send official, real-time alerts to the public with information about potential life-saving actions they may need to take during critical incidents, natural or man-made disasters, and other emergencies to keep themselves and their families safe. Virtually all area landline telephone numbers (provided by major carriers) are already automatically subscribed for this service; however, cellular telephones and/or email addresses must be manually registered. Many citizens no longer have landline telephones and rely exclusively on cellular telephones; moreover, most of those who do still have landline telephones lead busy lives and might not be at home at the time an emergency alert came into their landline telephone. All area residents are encouraged to take a few seconds this week to register their cellular telephones and email addresses to this invaluable service. 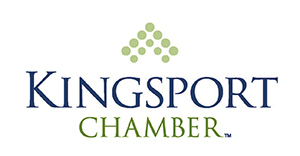 To subscribe, citizens can visit the City of Kingsport’s website at www.KingsportTN.gov and click on the “ALERTS” tab. Another option is to go directly to the Emergency Alerts Registration Page found at https://KingsportSullivanTN.OnTheAlert.com. Emergency Alerts may be sent to and received by subscribers by automated voice call, text message, email, or a combination of all three; therefore, subscribers are asked to provide as much contact information as possible. Because of the unforeseen nature of some emergencies, no one can fully guarantee that every citizen will receive a notification every single time. As such, citizens are urged to keep themselves informed by monitoring other public safety warning and information systems (such as television and radio) and avoid calling 9-1-1 during critical incidents just to ask a question (unless they are personally experiencing or witnessing an emergency and in need of immediate assistance). Another useful source for information is the Kingsport Police Department’s Blog which can be found at www.KingsportPDBlog.com. Citizens can visit that blog and enter their email address to subscribe. Doing so will enable them to receive the exact same K.P.D. News Releases disseminated to traditional media outlets at the exact same time they receive it. This same information can also be obtained by following K.P.D. on either FaceBook or Twitter. Back to the original topic of Safe Communities America, the first official National Safe Communities America Day was observed two years ago on October 5, 2016. On that day, the City of Kingsport unveiled a bronze plaque in honor of its designation as a Safe Community. This plaque is permanently affixed to the front of the Kingsport Justice Center. Last year on National Safe Communities America Day, held on October 4, 2017, the Safe Communities America Organization celebrated its 10-year anniversary. Traditionally scheduled for the first Wednesday in October, National Safe Communities America Day takes place this year on October 3, 2018. The City of Kingsport and the surrounding Sullivan County were first designated as an Internationally Accredited Safe Community in 2012 and then later reaccredited in January 2018. Our community is one of only 19 Internationally Accredited Safe Communities across the entire United States and remains the only one so designated within the State of Tennessee. The effort to initially obtain, and then continue to maintain, this esteemed designation is led by the Safe Communities Sullivan County Coalition which was developed by the Kingsport Area Safety Council (KASC)***. KASC has been serving this community for over 70 years with the mission of enhancing the quality of life through the effective promotion of safety and health on the highway, in the workplace, in the home, and in the schools. Safe Communities America has long been an accreditation program of the National Safety Council; however, the program is in the process of transitioning to a new (yet to be named) parent organization, with the ultimate goal of providing a wider range of resources to participating communities. In the interim, the University of Kentucky Injury Prevention and Research Center is facilitating the program.